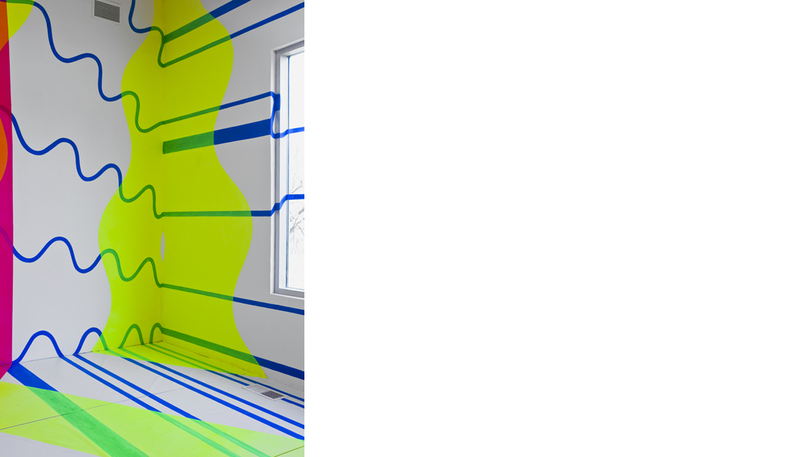 Imaging the invisible developed from a questioning of the effects the surrounding environment may have on our wellbeing. 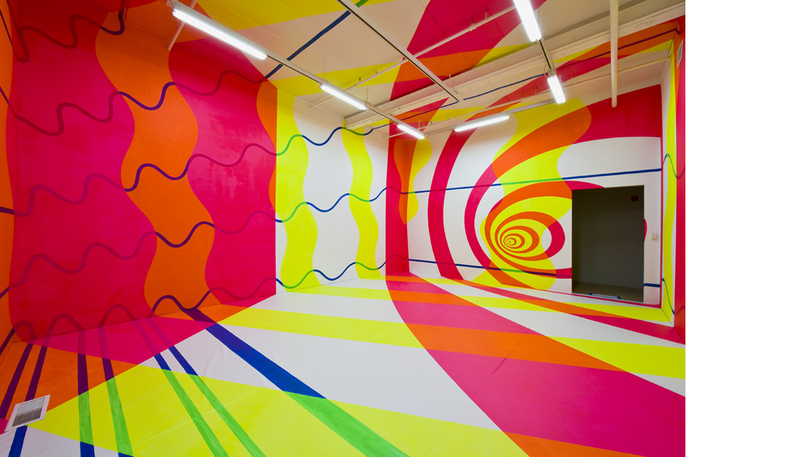 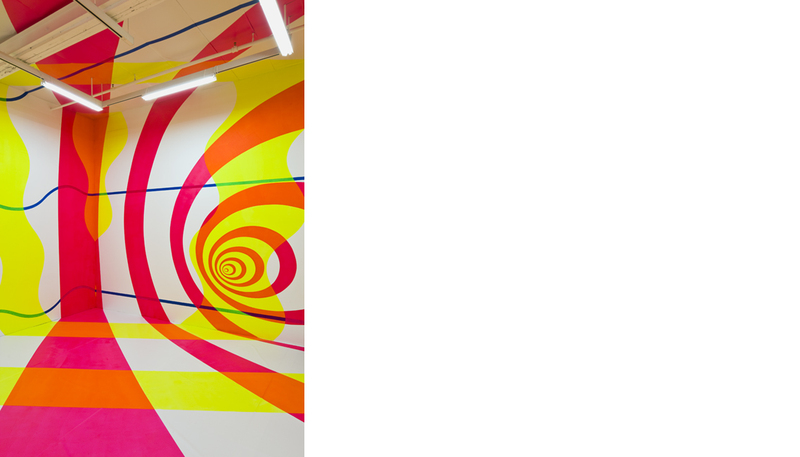 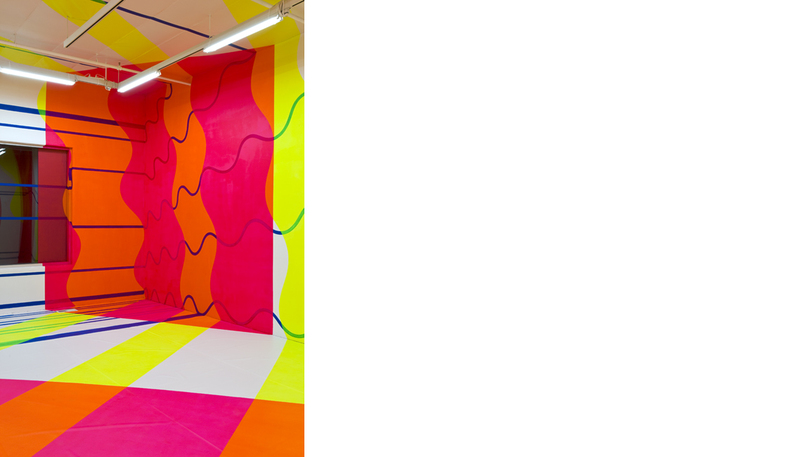 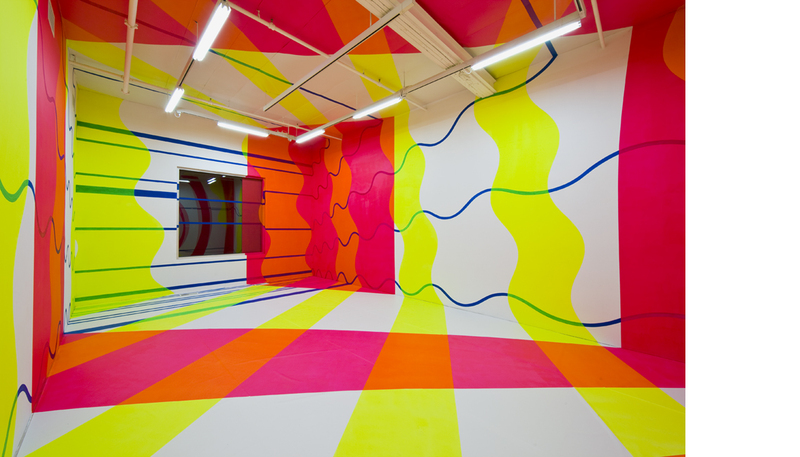 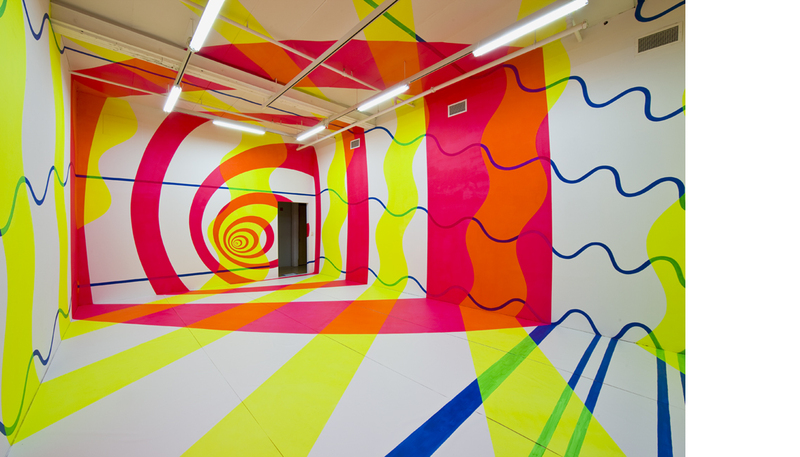 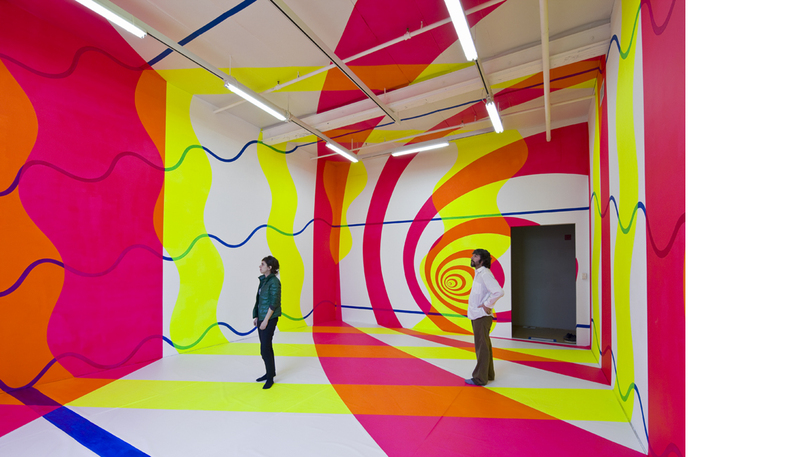 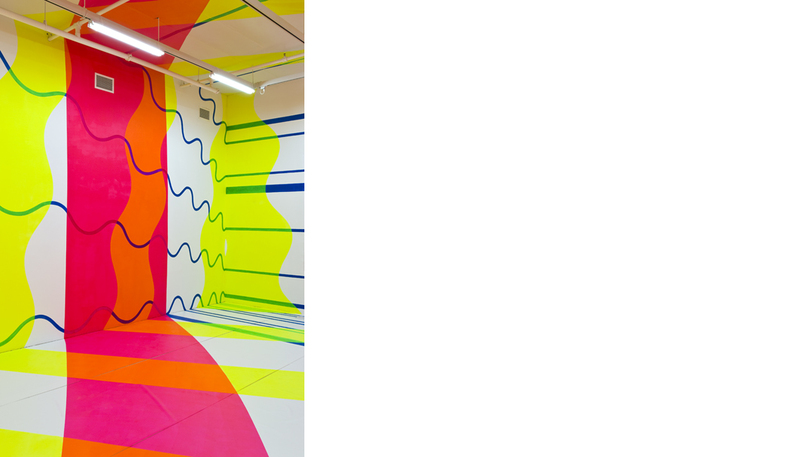 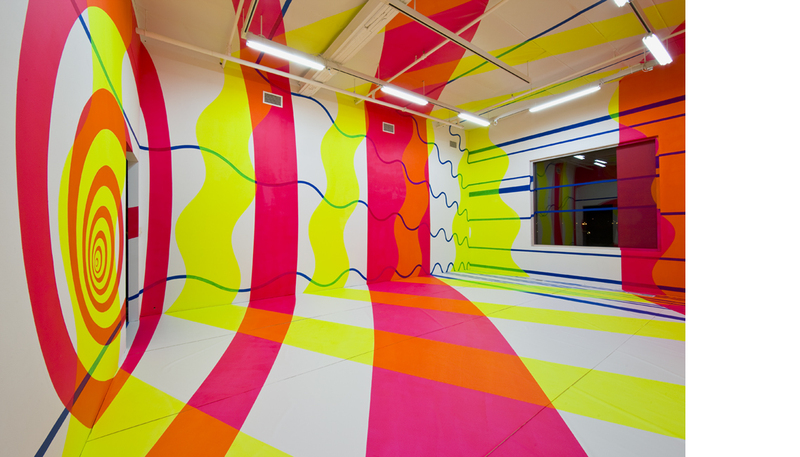 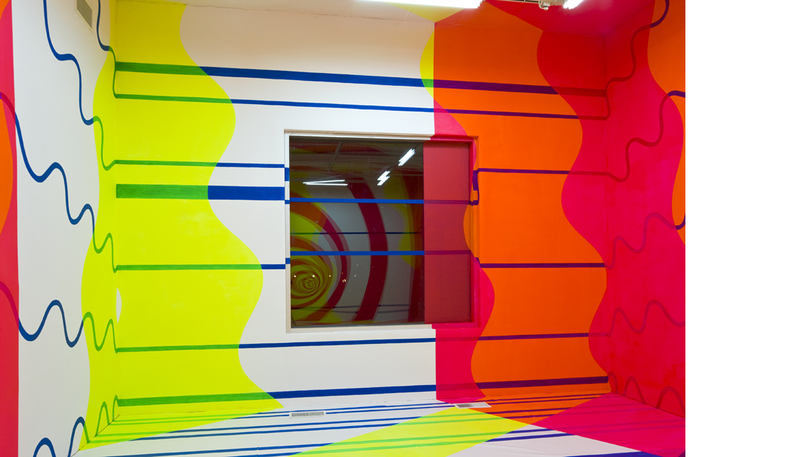 The gallery space was transformed with intensely saturated lines of fluorescent “artificial” colours that covered walls, ceiling and floor. 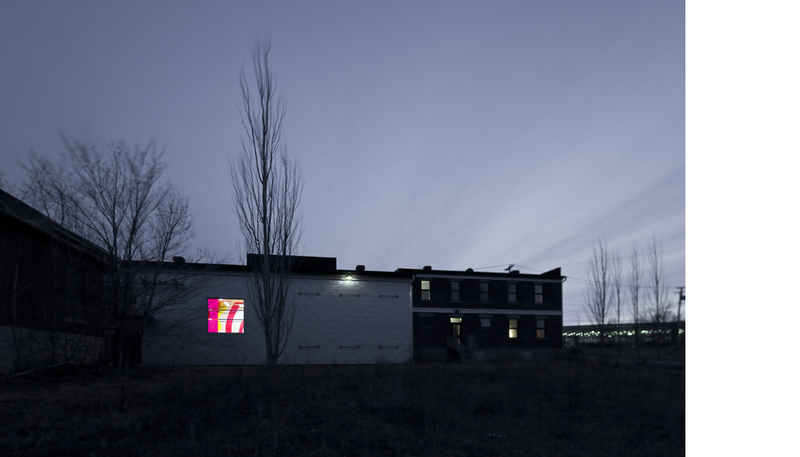 My desire was to suggest and make visible, poetically, the energies that fill and have transformed the public and private spaces in which we inhabit; full of the invisible vibrations of electromagnetic fields transmitted as radio waves, microwaves, etc. 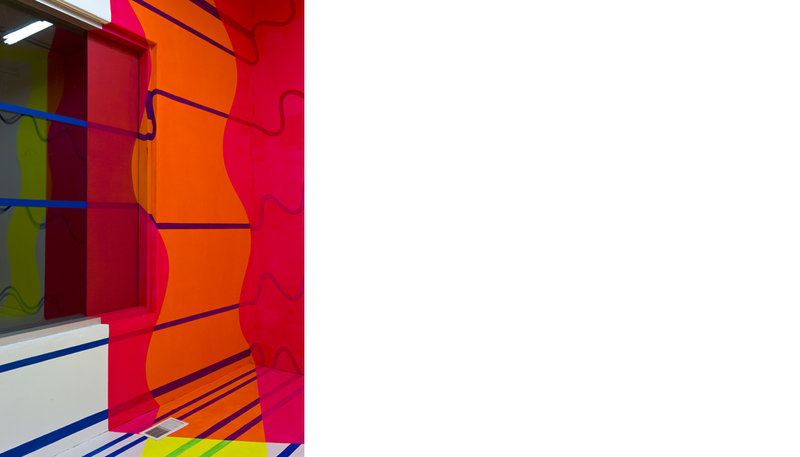 in this present technological era.